Join Paragon Brazilian Jiu-Jitsu and RISE for an educational, empowerment self-defense workshop on Saturday, November 10, from 2 - 4 pm at the Paragon location in San Luis Obispo! This event is open to individuals of all identities 12 and over! Please RSVP to paragonslo@sbcglobal.net or 805-305-7512 so we can ensure we have enough instructors on hand. For individuals not comfortable physically interacting with community members they don't know, we strongly recommended bringing a partner you feel comfortable with! The event is free, but we will be accepting donations for RISE! 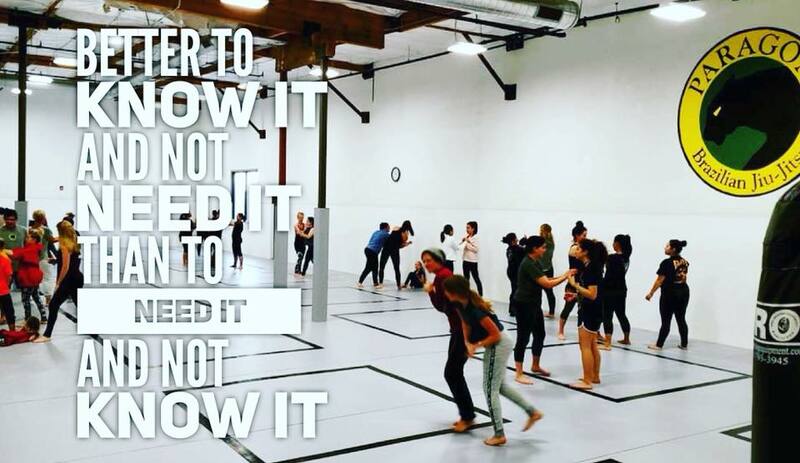 Posted on October 2, 2018 by Mallory Kraft and tagged self defense san luis obispo self defense paragon slo fitness san luis obispo.